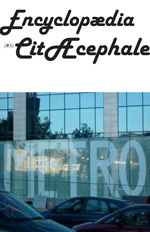 Hot off the press we have Issue 5 of our encyclopaedia – covering the letters KLMN. *Please note – the Encyclopaedia contains some swearing, and should only be read by those of an open-minded persuasion. Is a cowboy without any shoes, riding a three legged horse to a nameless town, by a river that runs nowhere. 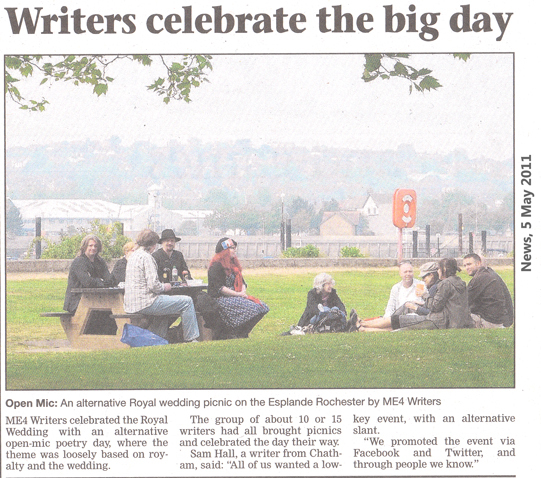 For those who didn’t catch it – here’s the press coverage from The News of 5 May 2011. 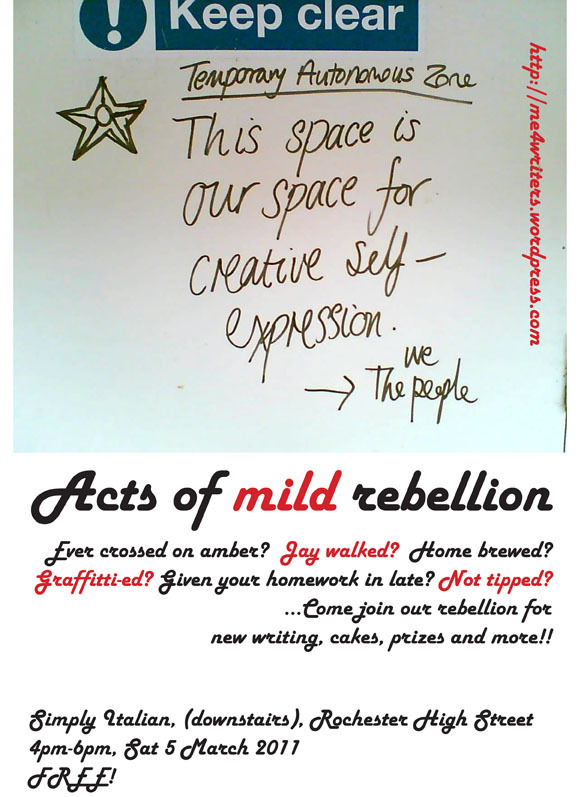 ME4 Writers presented new writing on the theme of ‘Acts of mild rebellion’ on 5 March. Here is a flavour of the event. Barry Fentiman read extracts from the ‘Encyclopaedia Citaecephale’ or ‘The City Project’: a collection of musings on the nature of city-ness written collectively by the writers. Sam Hall gave a ‘lecture’ on the trend of tattoos. We were treated to a preview of Maggie Drury’s new play ‘The eyes have it’, about the English abroad with guest readers Natalie and Vanessa. 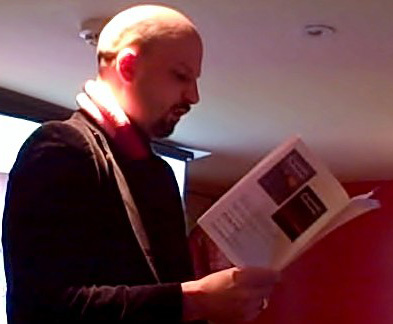 Clive Radford’s poem ‘A little light rebellion’ was also read by Vanessa. Guest readers Sarah Jenkin and Philip Kane read 3 of their own poems in an impromtu open mic session. We also had a quiz on the theme of rebellion with some books as prizes, and the usual mini-cupcakes as baked by Coco. £19 was raised for Comic Relief from the raffle. Thanks to Simply Italian for the venue. 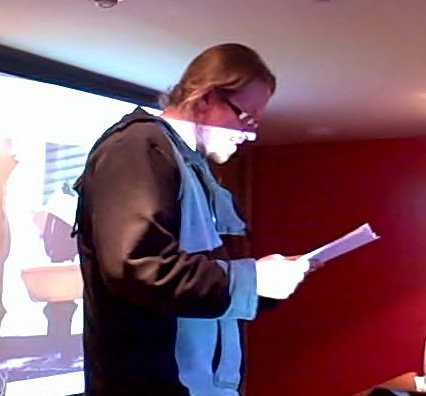 We also made a little film of the evening and you can see Roy, Sam and Barry reading extracts on Youtube. We’ve been finalising the line-up for our live event on 5 March. We’re showcasing a number of new writers, as well as members of ME4 Writers. Why not book a table at Simply Italian after for some food and wine? We are going to start taking part in ‘Sample Sunday’. 1. Every Sunday, post a writing sample on your blog or website. The writing sample can be from a novel-in-progress or it may be a sample from a book that is already published. Other forms of writing—short stories, poetry, nonfiction, plays—are also acceptable, but for maximum effect make sure you promote just one sample each week. 3. Search for other #SampleSunday tweets. 4. Read other people’s writing samples. 5. If you like a writing sample, please retweet it. If the sample is posted to a blog that allows comments, leave the writer a comment about the sample, saying what you liked about it, or giving constructive feedback. If you’d like to stay connected with the writer, then follow their blog, link to them, etc. 6. Check to see who has retweeted your #SampleSunday, and publicly thank them on twitter. You can also thank retweeters by following them on twitter.